The Educational Interpreter Performance Assessment - Cued Speech (EIPA-CS) is an EIPA tool designed to evaluate the voice-to-cue and cue-to-voice interpreting (i.e. transliteration) skills of interpreters who use Cued Speech in the elementary and secondary school classroom setting. The EIPA-CS evaluates the ability to expressively interpret classroom content and discourse and the ability to receptively interpret cued communication produced by students (young children or teens). The EIPA-CS is a Cued Speech version of the EIPA performance test and joins a family of EIPA products that are not limited to any one sign language or system. Some professional skills can only be assessed by administrators/educators in the school district. The EIPA-CS does not assess the interpreter’s performance as a member of the professional team, how well the interpreter performs as a professional (i.e., follows professional guidelines), or how well the interpreter completes duties other than interpreting, such as tutoring and aiding. Before the early 1990s, the only available methods for evaluating the skills of interpreters were designed to assess skills in individuals who interpreted for adults, not students. Yet, there are many differences between interpreting for an adult and interpreting for a student in the school setting. For example, interpreting interaction in the classroom is different than interpreting a lecture by an adult or a conversation between two adults. For years, experts have stressed that in order to provide deaf students access to education that was equal to that of their hearing classmates, it is essential for classroom interpreters to possess competent interpretation skills. School districts wanting to ensure that educational interpreters were qualified became frustrated with the evaluation options available. In 1991, Boys Town National Research Hospital in Omaha, Nebraska responded by designing and piloting the EIPA performance test. Today, over half of all states use EIPA to determine minimal competency requirements for educational interpreters. In these states the EIPA is used for certification or licensure purposes. Other states have used the EIPA for purposes of assessment and training. By the early 2000s, several states had expressed interest in a CS version of the EIPA. To address this need, the EIPA-CS was developed and piloted in 2004-2005. After reliability analysis was completed showing that the EIPA-CS could be rated as reliably as other EIPA products, Boys Town National Research Hospital began offering the Educational Interpreter Performance Assessment – Cued Speech, EIPA-CS, version to the public in 2010. Answers to questions ranging from cost and testing sites to who will rate the interpreter’s Educational Interpreter Performance Assessment - CS are answered here. 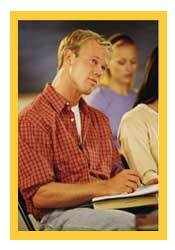 Although no training materials specific to Cued Speech are available through Boys town National Research Hospital, the classroom practice materials in the EIPA DVD series are a good resource for Cued Speech interpreters. These DVDs (listed below) enable interpreters to practice transliterating into Cued Speech the spoken teacher-student dialogue from typical elementary, middle, and high school classrooms.